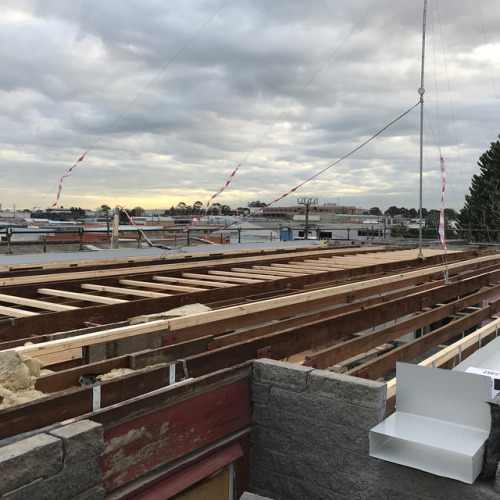 Project155, Alex Avenue Moorabbin - another day (in the last week or two), another job. One of our latest, a large factory upgrade. Demo’s done and dusted, roof framed & parapet boxes complete. Proclad’s Leroy has been busy at work re-doing the roof.